'Star Trackers' Help Juno Find Its Way Space navigation is tricky. There's no up or down, no left or right, and no road signs. This device uses stars to help determine if a spacecraft is off course. It takes nifty pictures, too. John Leif Jørgensen designs and builds star trackers at the Technical University of Denmark. "The problem in space is there's no up or down," Jørgensen says, "so the only real reliable source to find your orientation is, 'where's the sun?' "
But knowing where the sun is isn't enough. You need another reference point, and that's where stars come in handy for navigation. For one thing, they don't move around. Secondly, "It's always night up in space," says Jørgensen. "So we can always see stars." A star tracker can tell scientists the spacecraft's orientation in space. Orientation is analogous to pitch, yaw and roll on an airplane: Pitch is whether the plane's nose is up or down; yaw is whether the nose is left or right; and roll tells you whether the plane banking left or right. If you know your orientation, you know whether your destination is straight ahead, or off to the left. So in the case of NASA's Juno mission to Jupiter, once the probe knows its orientation, it knows how to find Jupiter and the Earth. That means Juno knows where to point its antenna to send a signal back to Earth, and which way to point its camera to take a picture of its destination. But the star tracker doesn't provide Juno with all the information it needs to navigate. Two star trackers look a little like loudspeakers on the side of Juno. They are actually cameras used to find the position of the spacecraft's magnetometer. "It doesn't tell us our position," says Jørgensen. Position is different from orientation. Orientation tells you where you're pointed, while position tells you where you are in space — how far you are from the Earth and the Sun and Jupiter. "To find the position when you go to deep space, like on Juno, you need to have help," says Jørgensen. These days the help comes from NASA's Deep Space Network — three large radio antennas in California, Australia and Spain. 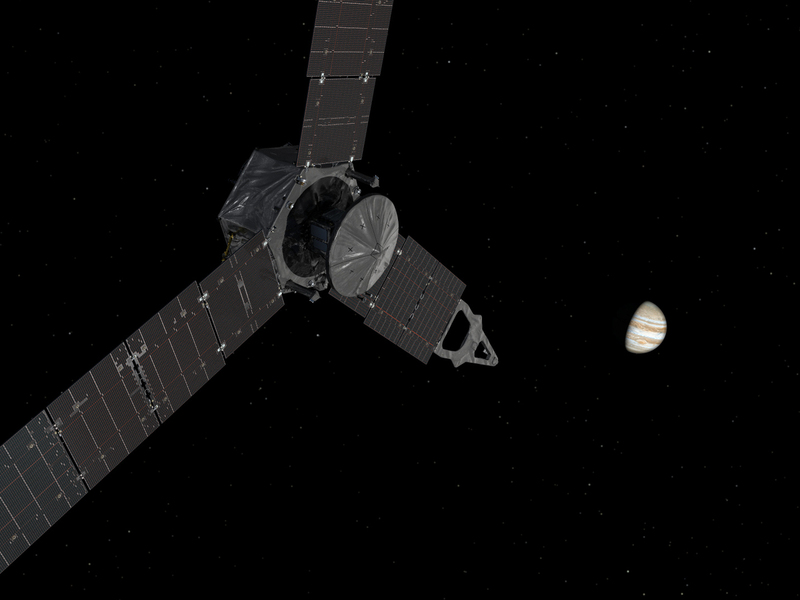 They receive radio signals from Juno and use those to figure out where the probe is and how fast it's moving. "That works beautifully for deep space spacecraft," says Jørgensen. 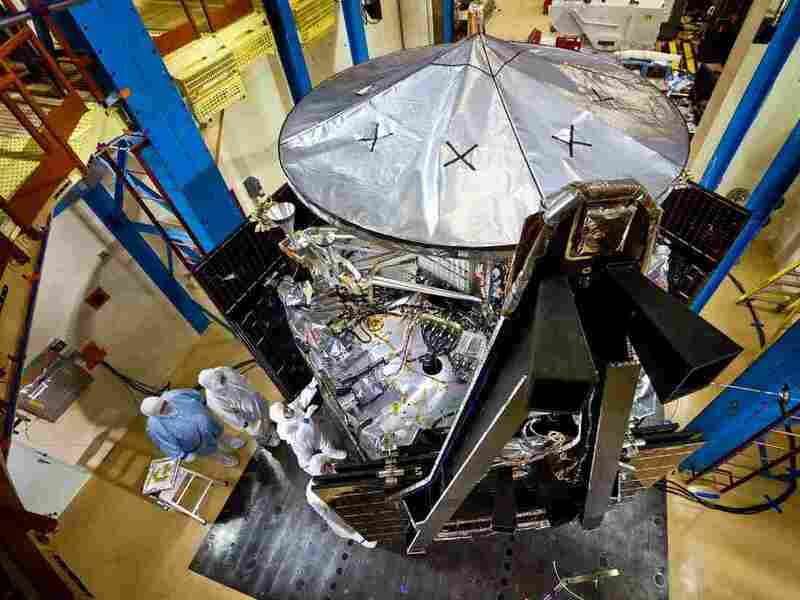 "It's just that it is relatively expensive to track with a big dish antenna, so people have been looking for different ways of navigating, and that's a problem you also can solve with the star tracker." Jørgensen is working on advanced versions of the star tracker for future missions that will enable a probe to navigate all on its own. For now, there are four of Jørgensen's star trackers on Juno, and they provide orientation information to an accuracy of 1.5 arc seconds. That corresponds to being able to see a penny — edge-on — from more than 300 yards away. That kind of precision is needed by Juno's magnetometers so they can accurately map Jupiter's magnetic fields. Though they weren't designed as cameras, Jørgensen's star trackers have already provided the mission with some amazing pictures. They are low-light instruments, so they can see faint objects. When the Juno spacecraft zoomed past Earth in 2013, the star trackers provided what amounted to video of the moon orbiting the earth. And Jørgensen says they may also catch a plume of water gushing out of Jupiter's moon Europa.